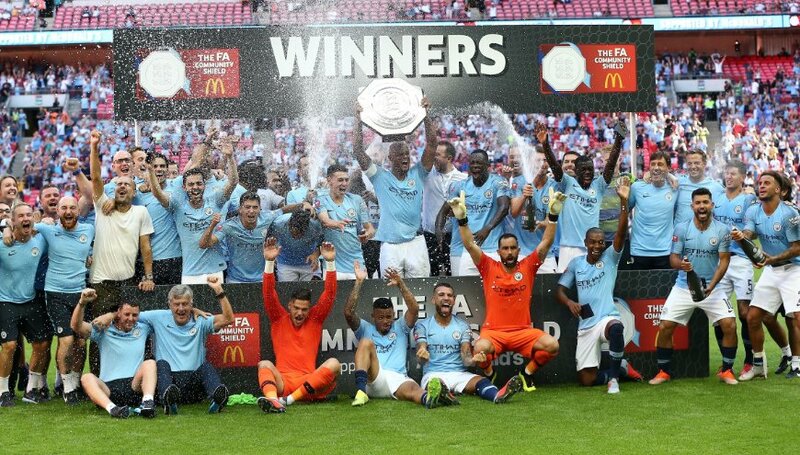 Premier League champions Manchester City showed why they are the team to beat ahead of the new English season after the Citizens outclassed FA Cup holders Chelsea in the Community Shield. Argentine star Sergio Aguero was the hero for Manchester City as he led his team to a 2-0 victory over Chelsea at the Wembley Stadium on Sunday evening. Aguero edged City ahead on 13 minutes to become the first Manchester City player to score 200 goals for the club before adding a second goal with 13 second half minutes gone to comfortably lead Pep Guardiola’s team to victory. The result ensured that new Chelsea start his reign with defeat in his first competitive game in charge.